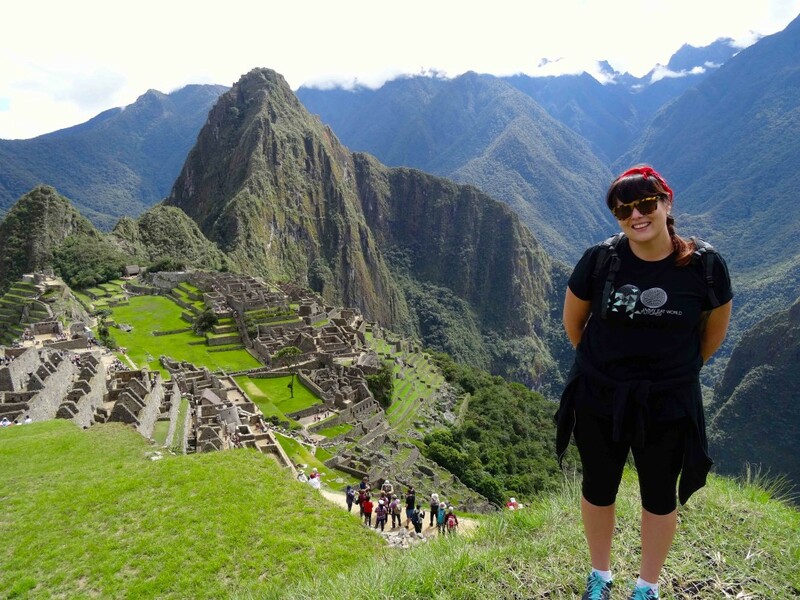 There are two words likely to be top of mind for every visitor to Peru: Machu Picchu. 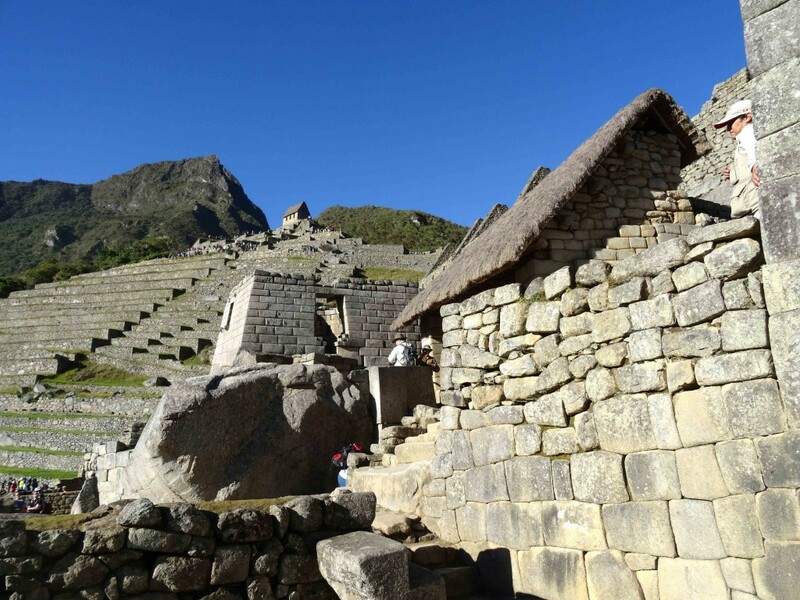 Visiting this extraordinary place and new wonder of the world is a must – and for those keen to walk in the footsteps of the Incas, the experience of getting there is just as special as the site itself. 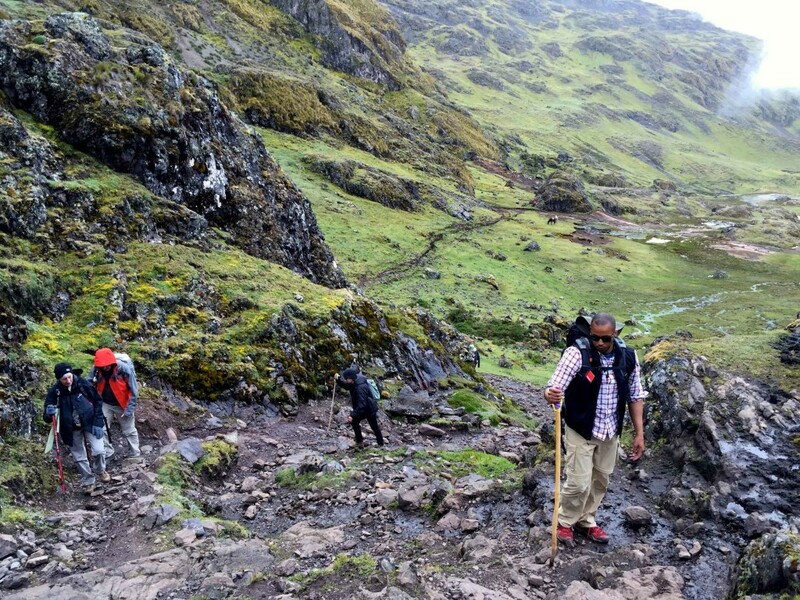 The Inca Trail is widely known but tough going, with nearly four days of nonstop hiking, cold nights in tents and no showers. 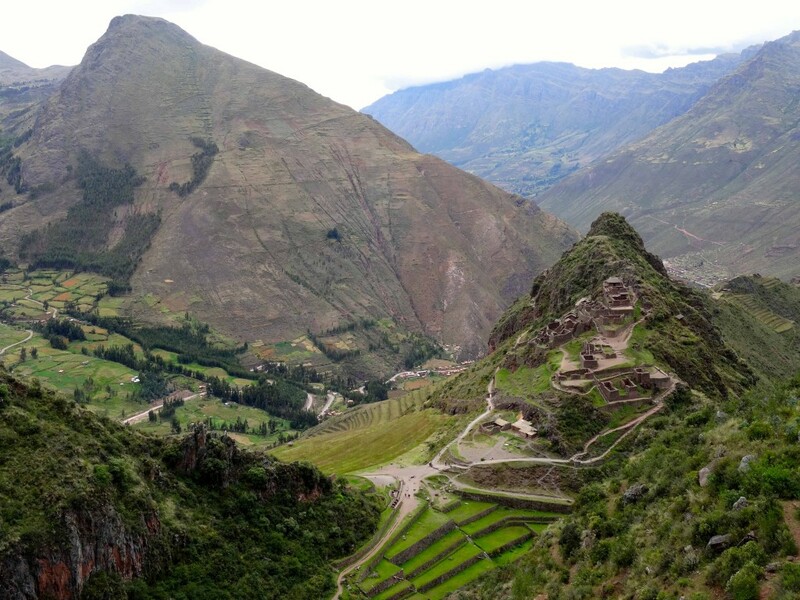 But what of the other trails carved out by the ancient Incan civilisation? 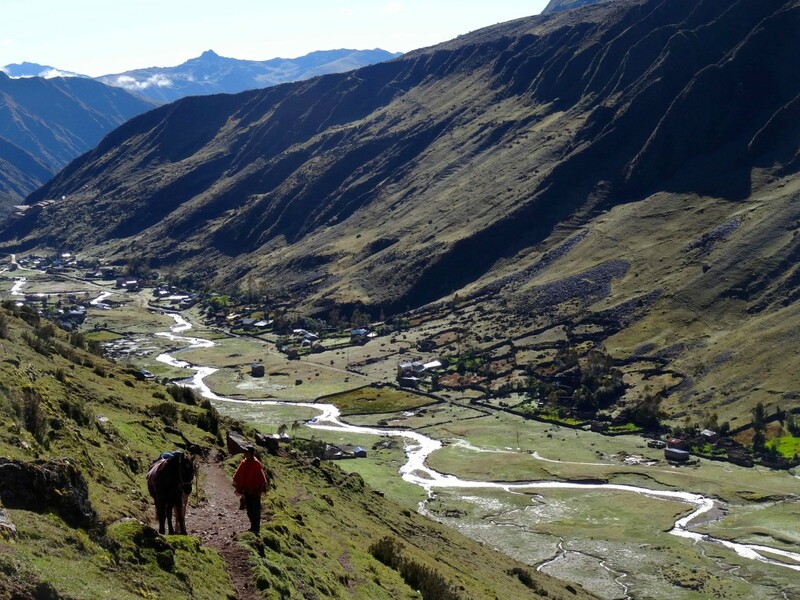 The Lares Trail is somewhat lesser known but equally enchanting – and with the flexible, ‘choose your own adventure’-style itinerary, your journey is of your own design. There are options every day, to satisfy those who want to hike a lot and those who want to hike a little… not to mention hot showers every night in exceptional accommodation. 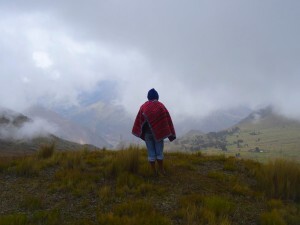 We followed the Lares Trail for five days and four nights; this is my journey. 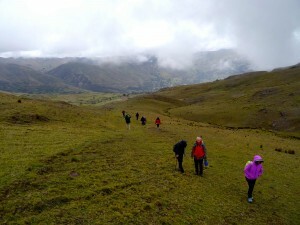 Beginning the Lares Trail. Photo Credit: Amy McCulloch. 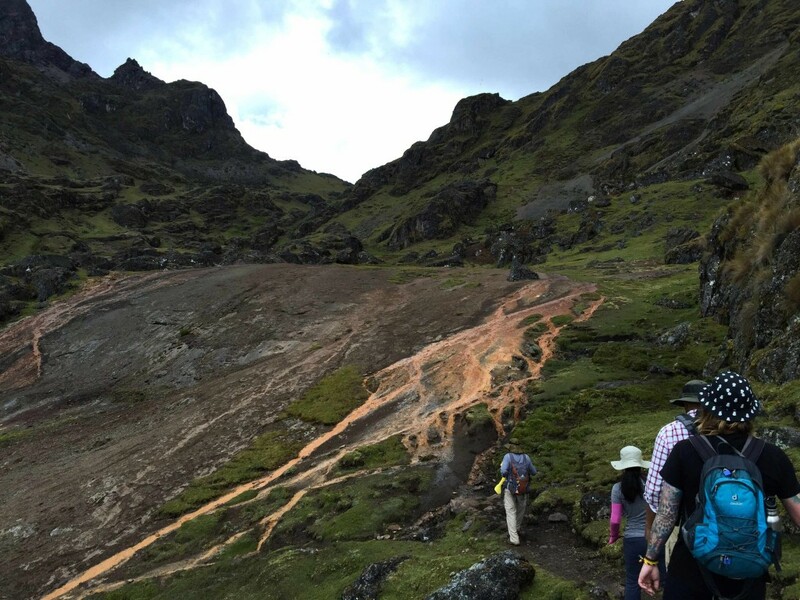 Our first hike on the Lares Trail. Photo Credit: Amy McCulloch. There are eleven of us doing the Lares trek and we depart Cusco at 7am, in two vans – we are on our way! After a short drive we arrive at the community of Amaru, and our first hike – from Amaru to Viacha. There’s a non-hiking option (a visit to Pisaq town and market) but everyone is ready to get their boots dirty. 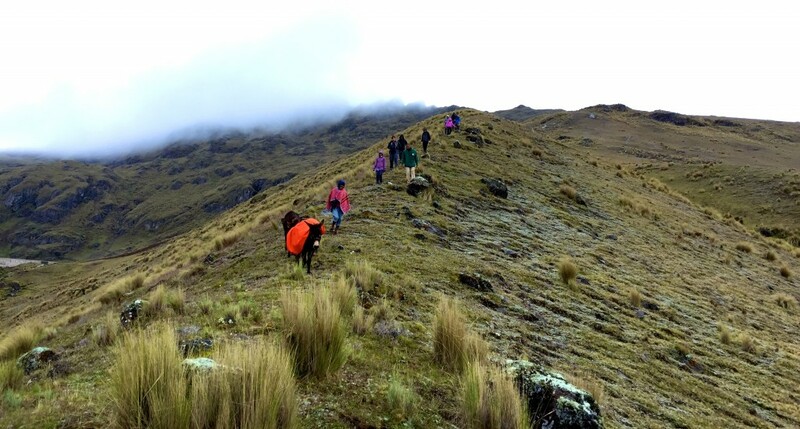 It’s a moderate hike but testing nonetheless – we climb steadily uphill and the altitude quickly makes itself known. We move slowly, each falling into our own rhythm and taking plenty of rests as encouraged; to catch our breath, absorb the incredible landscape and snap photos. It’s cloudy and threatening to rain but with the altitude robbing us of oxygen, we’re still panting and puffing. It takes us an hour and a half to finally reach the top… where the Andean porter and his donkeys relax, totally unaffected of course! We’re at approx. 4200m and clouds surround us in a surreal mist. We head off down the other side, with the downhill proving taxing in its own way! An hour later we arrive in the community village of Viacha. 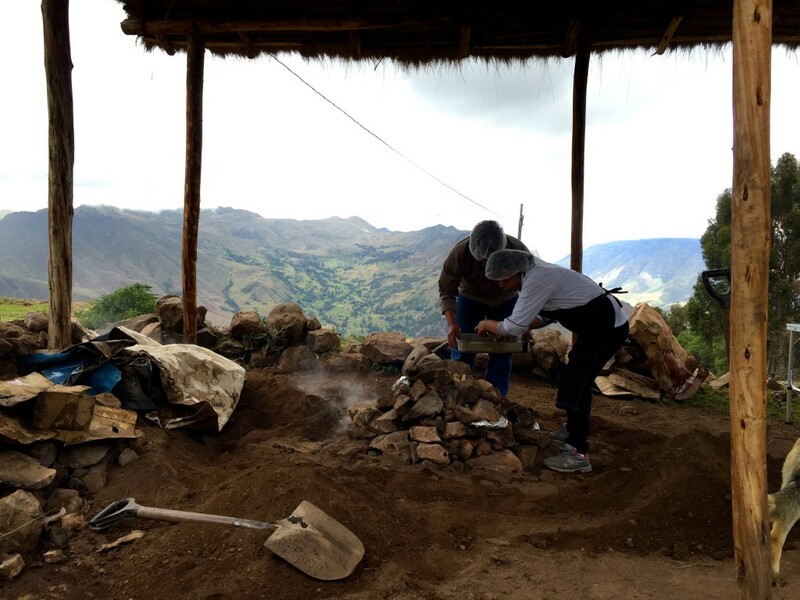 Here the locals have prepared a special lunch for us – ‘pachamanca’, a traditional meal cooked in the earth under hot stones. They retrieve the vegetables and meats from the earth (guinea pig is on the menu but being vegetarian, I quietly abstain…) and we sit down to a hot and delicious meal. Locals cooking a traditional ‘Pachamanca’ lunch. Photo credit: Amy McCulloch. Soon we’re off and hiking again, mostly downhill, and after another two hours we reach the edge… and an incredible view of the Pisaq Inca Ruins. View of Pisaq on the Lares Trail. Photo credit: Amy McCulloch. Ruins of Pisaq from above. Photo credit: Amy McCulloch. The Beautiful Lamay Lodge. Photo credit: Amy McCulloch. 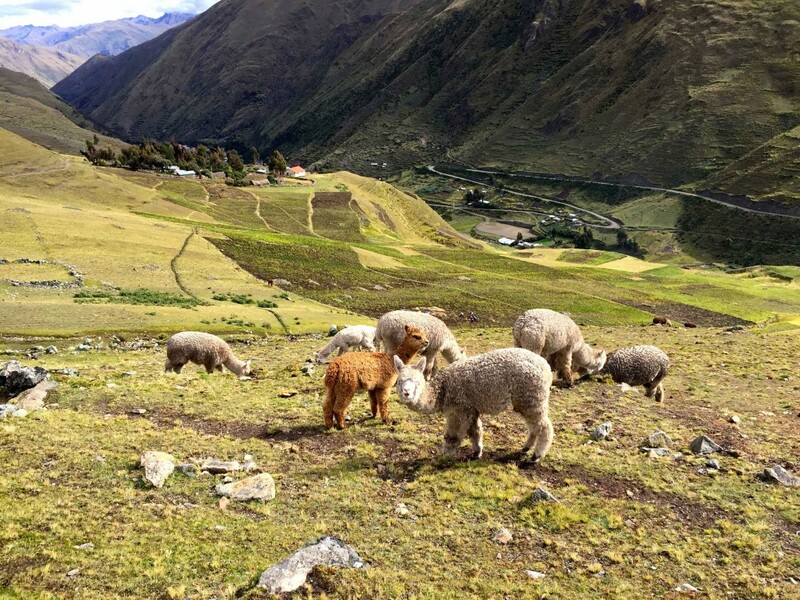 Friendly llamas on the Lares Trail. Photo credit: Amy McCulloch. We make our way down to the ruins – a steep combination of steps and a narrow trail – and after a brief rest at the bottom, the choice is ours to climb to the top of the site or not. Everyone is tired but it’s a resounding ‘yes!’, and although it’s gotten even cooler and the rain is more convincing now, it is worth the effort. We’re greeted at the top by fabulous views of Lamay and a feeling of accomplishment that stays with us as we wobble back down to the comfort of the van. With the first leg of the trek done – nearly six hours total hiking – it’s time for a relax in the beautiful Lamay Mountain Lodge, which is nestled within a valley, surrounded by the ever impressive mountains. And the pretty garden has some friendly llamas who are keen for a cuddle! After a very deep sleep we’re up early again for a tour of Lamay village. It’s a busy morning with the locals making their way to work and school and kids playing street soccer. Leo, our guide, buys several huge bags of fresh bread to offer to locals as we hike – a lovely thing to witness down the track. 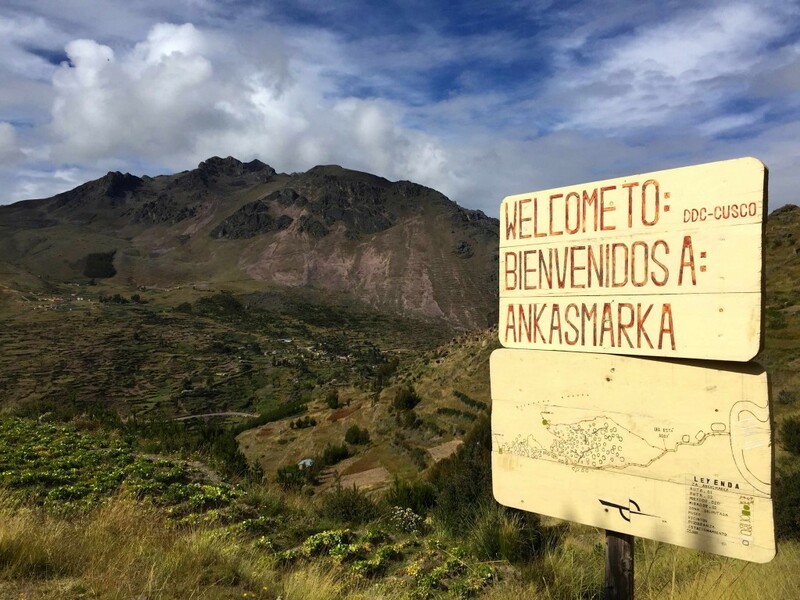 Next we’re taken to the archeological site of Ankasmarka, where we climb up more intriguing Inca ruins until we reach the top, gasping at the views (and for breath). Lamay Locals. Photo credit: Amy McCulloch. We reached Ankasmarka. Photo credit: Amy McCulloch. 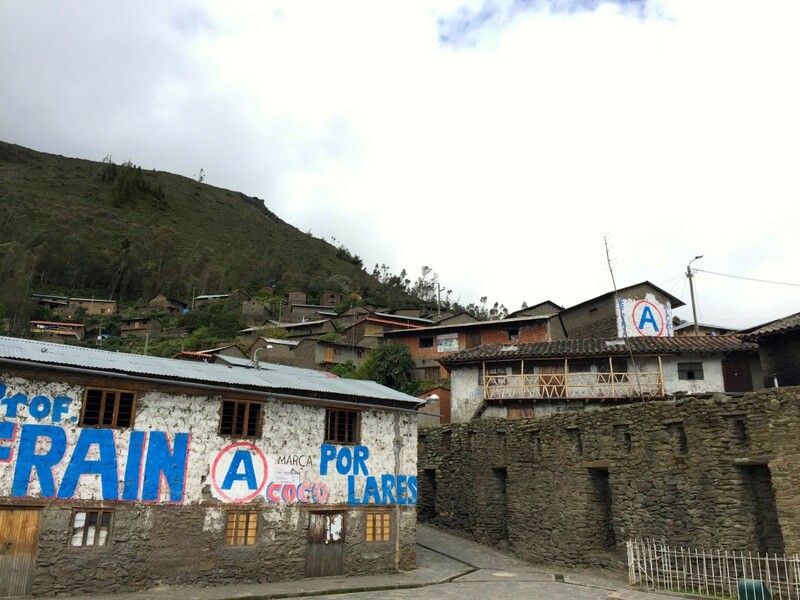 After lunch in the town of Lares, we’re given three options: a guided tour of Choquecancha, a small village built on top of Inca ruins; a moderate 3-hour hike from Quelquena toHuacahuasi; or a difficult 5-hour hike from Cucani to Huacahuasi. The majority of the group opts for the moderate hike but my boyfriend and I decide on the village visit, having heard from a colleague that it’s a very unique village. It’s a 2-hour drive to Choquecancha, on narrow, winding roads shared by alpacas, llamas and cows. The town square is deserted when we arrive but as we make our way through the small village we start spotting curious townsfolk poking their heads around corners; I smile and wave and they return the gesture shyly, before disappearing again. 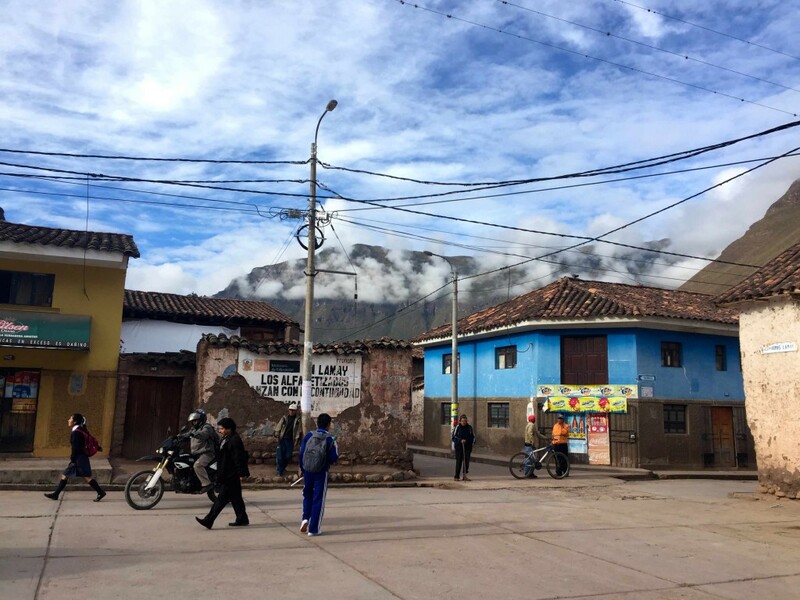 This village doesn’t see many tourists and its inhabitants, who speak only Quechua, are curious but shy. The dark grey base structures, built by the Incas, give the place a gothic vibe and it’s very different to other villages we’ve visited. CHOQUECANCHA. Photo credit: Amy McCulloch. We visit a local weaver, whose doorway is marked with beautiful flowers and we are delighted to be greeted with a shower of petals. 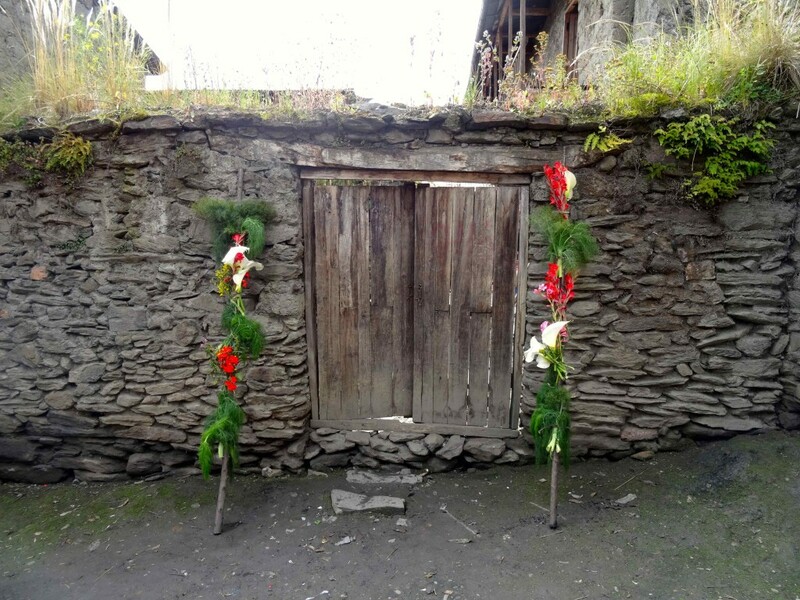 Doors decorated with Flowers. Photo credit: Amy McCulloch. 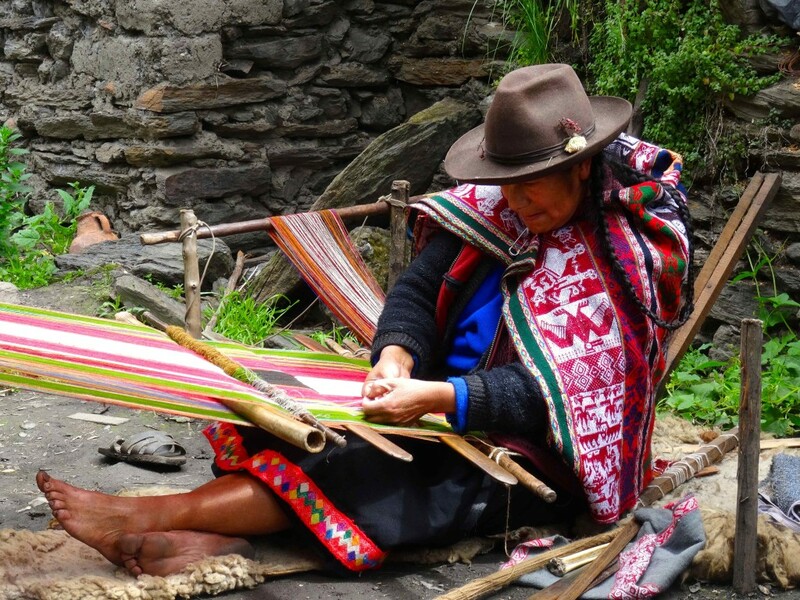 Local lady weaving. Photo credit: Amy McCulloch. Next we hike up a steep trail, weaving between the houses, which are built into the hill. 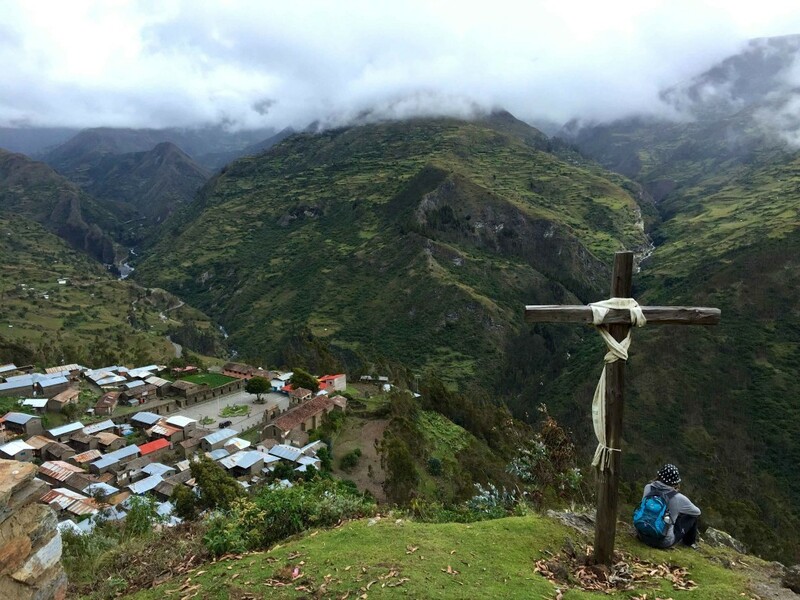 At the top we find a sacred place with more Inca ruins and a modest cross, looking over the town square. Here we can now see that the grassy centre is actually the shape of a chakana, or Inca cross, which was not obvious at street level. From this height we have a better view of the Inca ruins that form the base of the buildings, and how the town has been built on top of/around them. 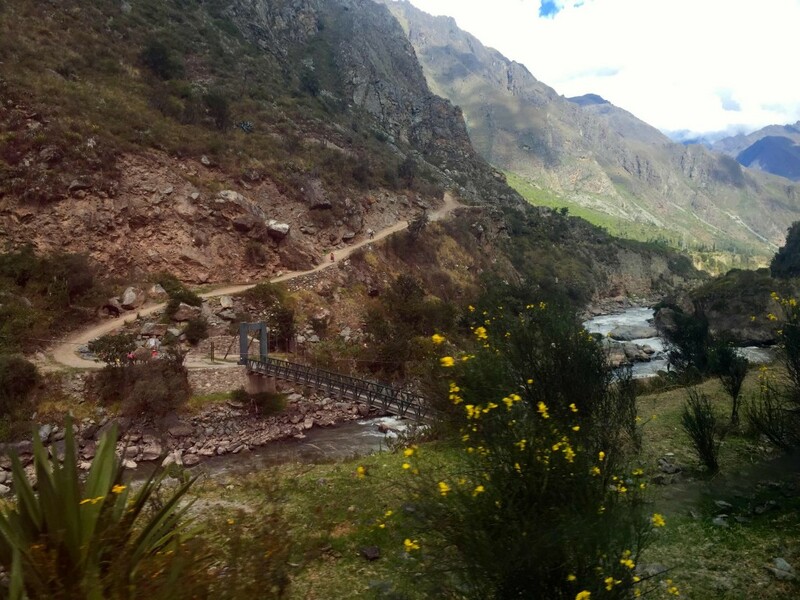 View of Choquecancha on the Lares Trail. Photo credit: Amy McCulloch. Today is a big day. Again we have options but everyone is committed to the hard one – a challenging four-hour hike, with a tough climb over the Huchuycassa Pass, then another three hours of hiking in the afternoon. We start early and it’s a beautiful morning with clear skies and sunshine… which makes the steady incline warm work and it’s not even 8am before we’ve all stripped down to base layers. We hike along trails up and down grassy hills, along creeks and streams, passing small communities and cute local kids who Leo gives bread to. HUACAHUASI. Photo credit: Amy McCulloch. But once we’ve hit it, we know – the incline becomes much steeper, the soft grass is now loose, uneven rocks and the weather suddenly turns dark and ominous. The sun disappears, the clouds move in and it starts spitting rain. It’s tough going and we all stop a few times, gathering our breath and wits. Leo, far ahead of everyone, RUNS the last forty metres – ‘I feel like Rocky when I’m close to the top.. I just have to go!’ he says later. One after another we stagger to the top, surrounded by swirling clouds, having reached 4500m. As the last two hikers appear, the clouds break a little and we can see the ground we’ve covered in the last four hours. We can see our lunch in the distance – huge tents set up in a valley between the hills and we walk gently downhill for about fifty minutes. We’re ravenous when we arrive and warm garlic bread and quinoa soup has never tasted so amazing! After lunch we hike for another two hours, winding our way down to Patacancha village, where the vans wait to take us to our hotel in Ollantaytambo. After yesterday’s exertions, today is a relaxed affair. There’s an optional early morning mountain hike, up a steep and narrow trail, not recommended for beginners. 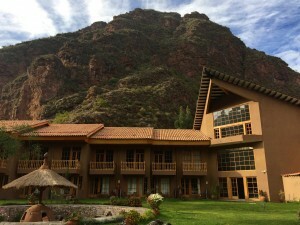 Only one in the group takes Leo up on this and at 9am we all meet for a group tour of the Ollantaytambo ruins. This is a popular site with great significance, as it’s one of the few fortresses the Spanish were (initially) unable to conquer. An Inca’s profile can be seen in the side of one of the mountains opposite. 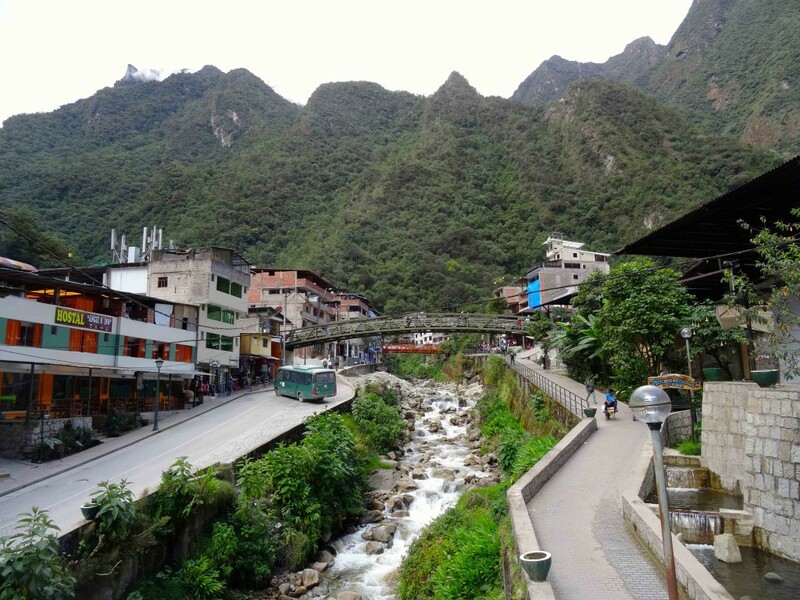 After the tour it’s a short walk to the train station and we board the Inca Rail, bound for Aguas Calientes (also officially known as Machu Picchu Town). The train ride is super fun with amazing views out the window – and through the window panels in the roof, where the snowcapped mountaintops appear. 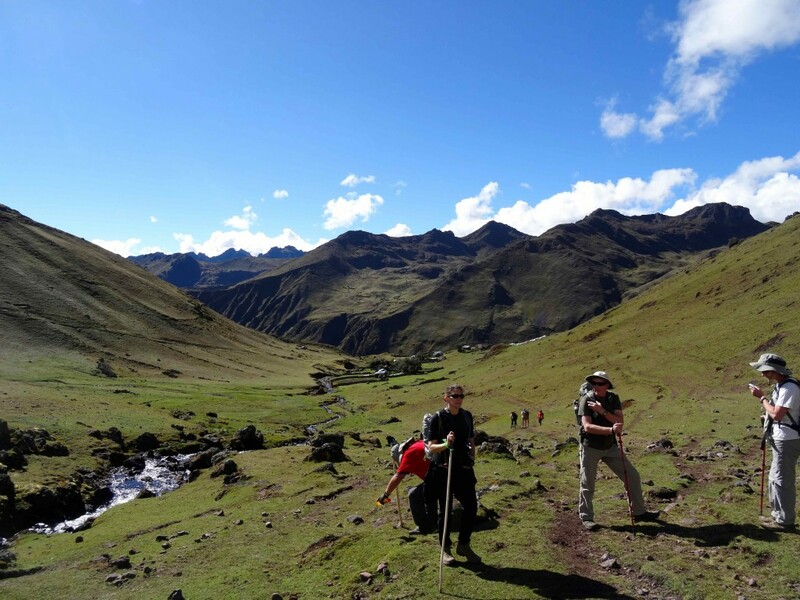 We also see snatches of the famous Inca Trail, occasionally spotting local porters moving along at pace, despite the bags that they’re carrying appearing bigger than they are. There’s no sign of the hikers – they would have passed through long ago, in the early hours of the morning. 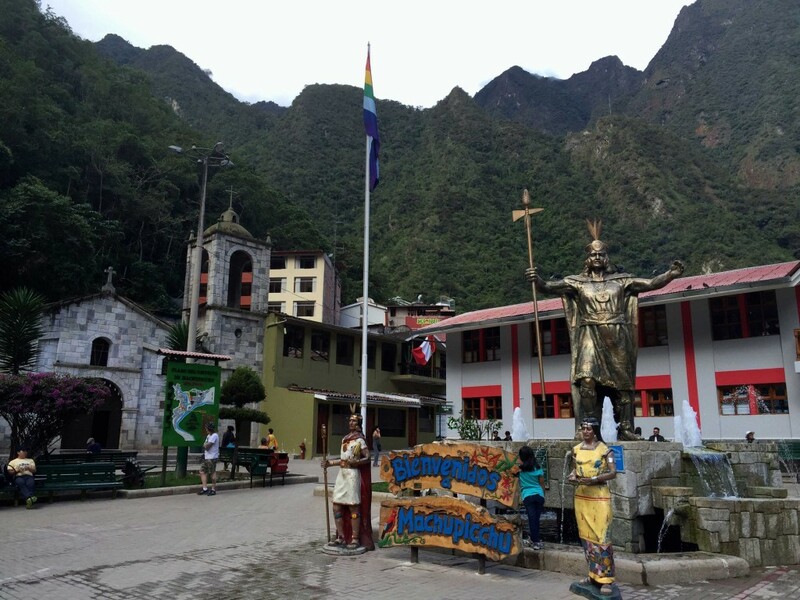 Two hours later we arrive in Aguas Calientes and enjoy a free afternoon to explore the village, which is situated in a deep gorge below Machu Picchu, surrounded by towering cloud forest. Its natural hot baths give the town its Spanish colloquial name; ‘agua’ meaning water and ‘caliente’ meaning hot; ‘hot waters’. The day has arrived! We leave at 6.30am, plenty excited as the bus winds it way up the hill and we begin to catch brief glimpses of the ancient city. The sun is breaking over the mountains and the day already feels magical. We pull up at 7am and it’s early enough that there aren’t any lines; in a flash we are inside and there it is. Machu Picchu. The weather gods have answered the phone – it’s a sparkling sunny day with blue skies and clouds that make our photos pop. The site is enormous and awesome in the truest sense of the word; I immediately understand why so many friends have said it’s their favourite place. Leo guides us on a tour for 2.5 hours and even at that, it’s a rush – there’s a lot to see and a huge amount of ground to cover. Every fact and interpretation of how it was built and why; the importance of the sun on the design of the buildings and its impact as it moves; the representation of significant animals carved in the stone – it’s fascinating and insightful and I become aware of how much we would miss if we were just wandering around on our own. There’s free time after the tour and Matt and I make our way to the guardhouse up the top for the postcard view. We sit on one of the terrace ledges, taking a moment to quietly contemplate our magnificent surroundings. Later we take the trail to the Sun Gate, instinctively slowing down as we arrive, observing the goosebumps this special place inspires. Our time is up all too soon but it seems as though it’s meant to be; the day has become grey and overcast and as we wait to board the bus, it starts to rain. We had our perfect moment. From Aguas Calientes our train takes us back to Ollantaytambo. It’s a quiet couple of hours as everyone is absorbed in their thoughts (and more than a few people fall asleep). From Ollantaytambo the vans take us back to Cusco. The Lares Trail and Machu Picchu are now behind us… but the memories are strong, the photos proof and the feelings indescribable. 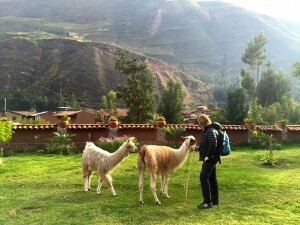 At Chimu Adventures, we offer a wide range of tailor-made travel options to Peru. 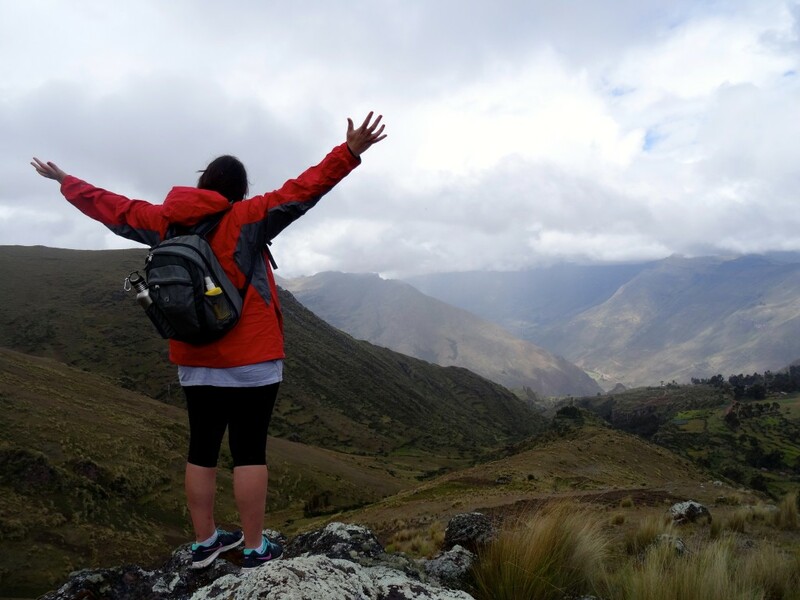 Visit our Lares Adventure page for more information on the Lares Trail. 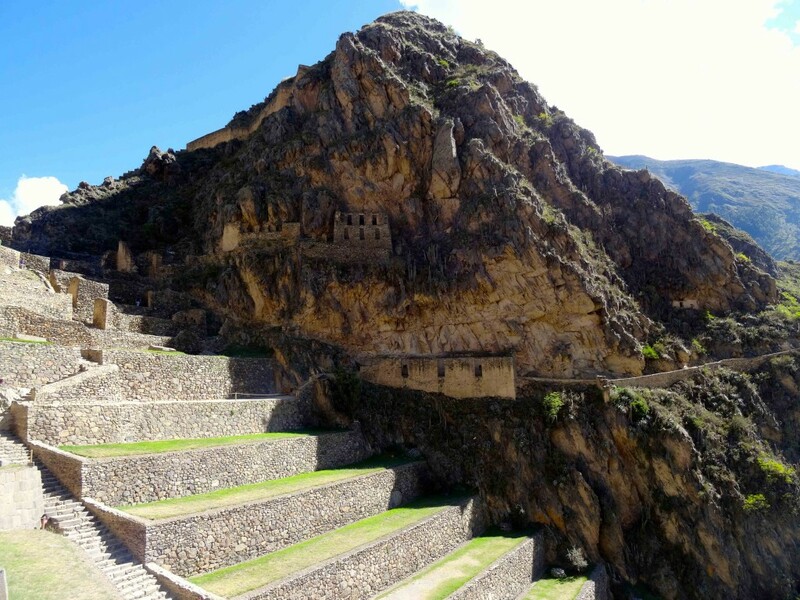 Come face to face with some of the most awe-inspiring remnants of the ancient Inca Empire. 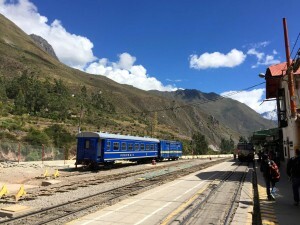 Tackle a heart-pumping hike along the ancient Inca trail to Machu Picchu, or take a comfortable and just as mesmerizing train ride instead. 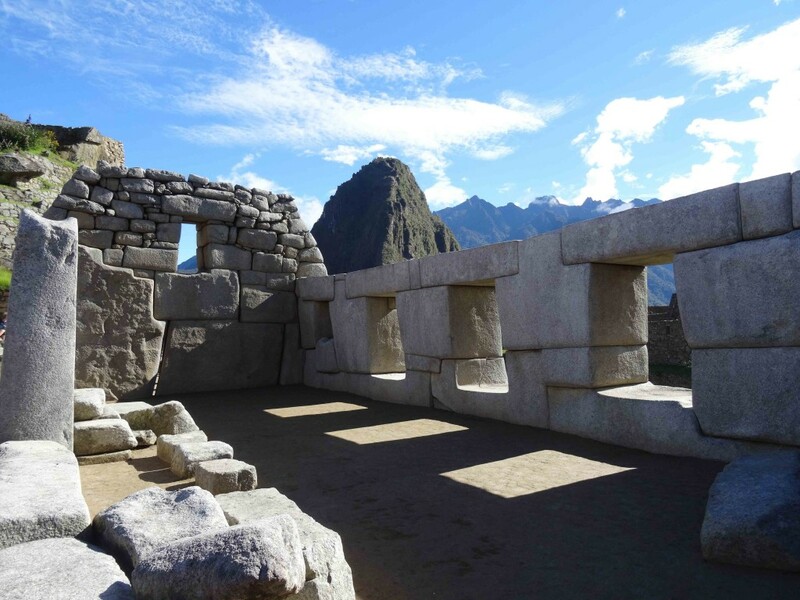 Visit world-class museums and priceless temples, explore the Sacred Valley of the Incas, and come discover one of the most impressive ancient civilizations the world has ever known. 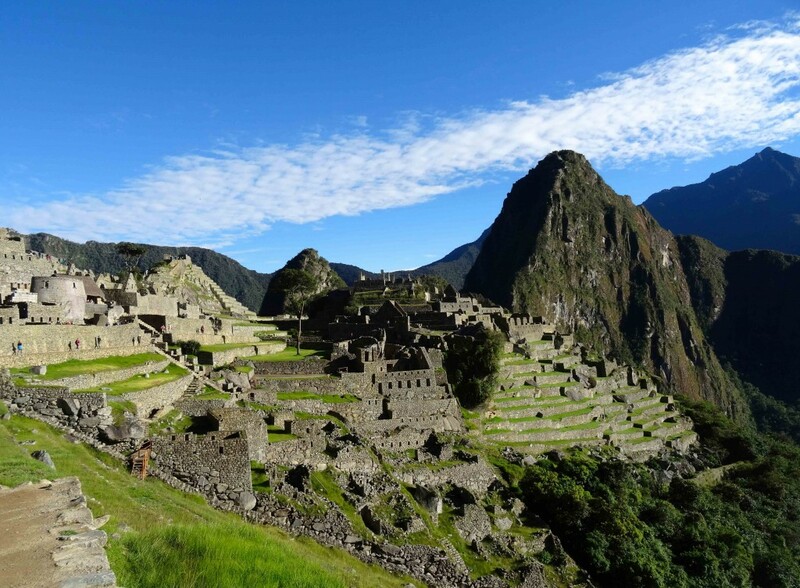 Discover Machu Picchu like never before – Contact us today!